Hey, all! Happy Friday! I’ve literally been at work for two days this week, and am ready to go home for a nap 🙂 Between sickness flowing through my house, snow days, and holidays, I haven’t really gotten a good hold on my week, and it’s basically over! When my American Political Systems students were presenting party platforms that they had created in preparation for our mock primary and general elections, I noticed that Google Cast for Education had updated and wanted to be sure to share it with you! 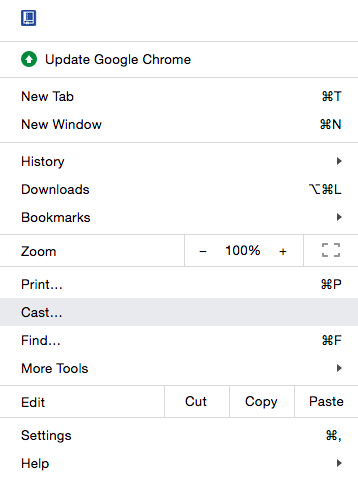 In case you missed my previous post about Google Cast for Education — this extension/setting in Chrome basically eliminated my need (and desire!) to use my AppleTV in my Classroom. This is a huge deal because I used my AppleTV literally on a daily basis to help me regain mobility in my classroom, share and interact with information along with my students, etc. I also love the fact that using Google Cast for Education lets my students easily share their screen during class discussions and presentations. Instead of seeing a blue box, students now see this dialogue box when they ask to cast their screen. 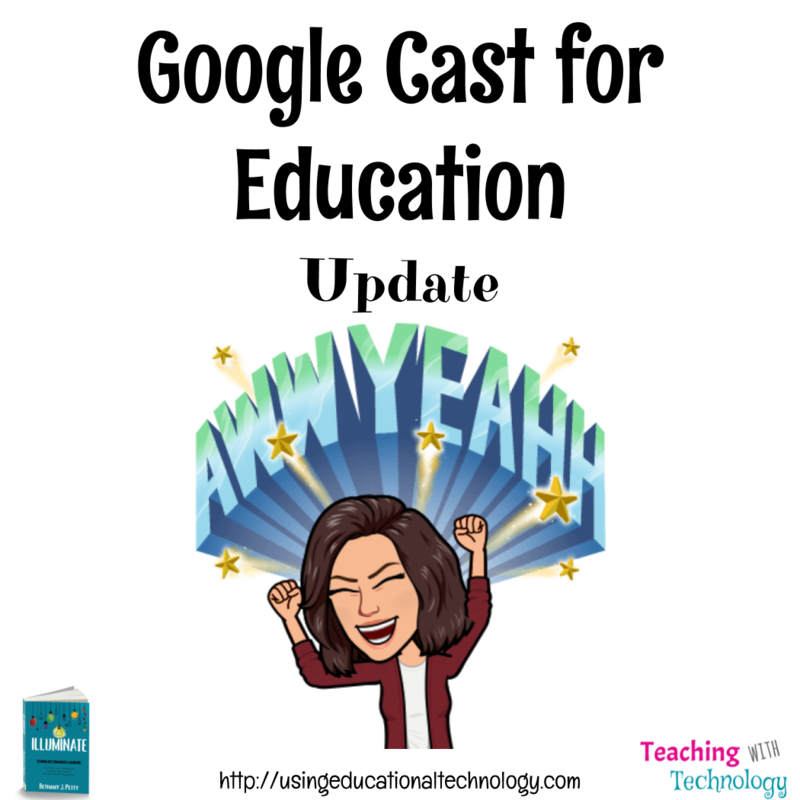 Do you use Google Cast for Education in your classroom? If not, definitely check it out! Hello, all! I hope you’re having a fantastic week and are experiencing weather with fewer mood swings than we are in Missouri. Holy moly. My Mom and I went to a conference Tuesday and drove through rain, sleet, brief snow showers, and endured whipping wind. Today, the sun is shining and we are expecting highs in the 50s. Seriously, Missouri. Seriously. 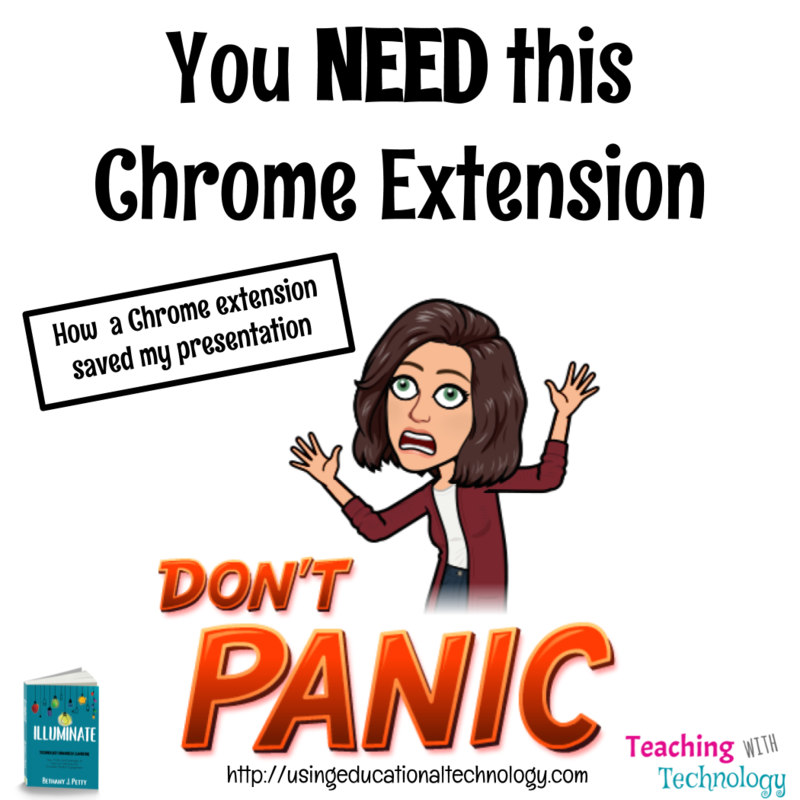 Speaking of Tuesday, I have to quickly share with you a story of how a Chrome extension saved my presentation — it was almost a catastrophe! I’ve been fortunate enough over the last few years to attend the METC conference. This is the largest EdTech conference in the state of Missouri and hosts a variety of awesome national and local speakers. I ALWAYS walk away from this conference with something I can use in my classroom. It’s absolutely fantastic. 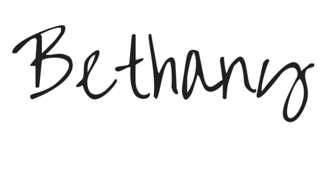 I love sharing my experiences, learning from other teachers, meeting people in my PLN in real life, and connecting with other teachers. This year, my mom even came with me which was super fun! Check out my IG stories to see pics! During the meet and greet session at the end of the conference yesterday, I was able to deliver an Ignite speech about using Global Collaborations to encourage empathy. If you’ve never heard of an Ignite session – don’t worry, I hadn’t either! – these are basically five-minute power speeches in which the presenter delivers a topic using 20 slides to empower, inspire, and, well, ingnite their audience. I found out, along with my audience, that I cannot talk for only five minutes about global collaborations and empathy in the classroom. Heck, I’m a Social Studies teacher, I can’t talk for only five minutes about anything! Ha! Of course, when I was preparing to present, my dongle wouldn’t allow my laptop to connect to the projector. Fortunately, the presenter before me offered to let me use her laptop to deliver my presentation. Total life saver! However, my presentation was in my Google Drive and I had to start QUICKLY! No time to log into my Drive or my Chrome browser! What, oh what, was I to do with a room full of people staring at me?! Enter my bit.ly Chrome extension! I opened my presentation quickly on my computer, clicked the bit.ly extension, customized the address, and VOILA! I quickly accessed my presentation, delivered it, and received a round of applause from the audience. Thank you, bit.ly extension! 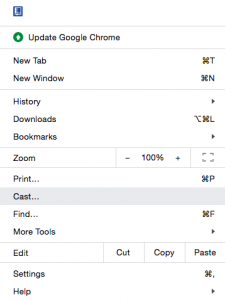 What Chrome extensions are a must for you? It’s Friday! WOOHOO!! We’ve only had 4 instructional days this week, but it feels to me as though this week was actually about 13 days long. This morning, I did something rare – I took the morning off (weird to take the morning and not the afternoon, especially on a Friday!) to watch my youngest daughter and her class present the chapel service for their school. To fully take advantage of my time off, I also decided to get in a 3 mile run (running keeps me sane – ish) and I did! I set a new personal best time of 26:50. I’m super proud! 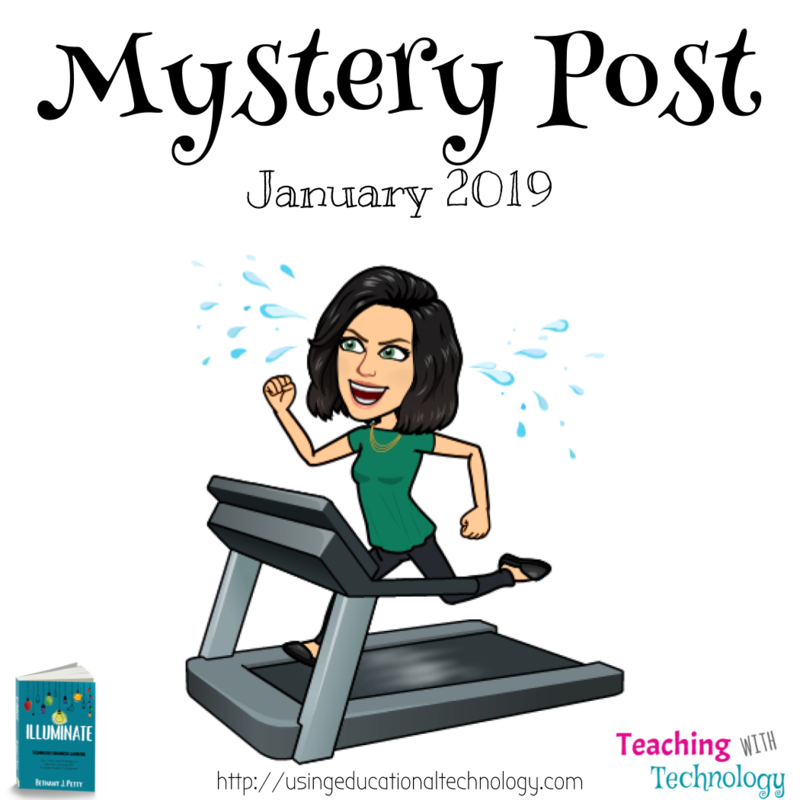 We’re a few days into the month of February, so that means I’m just a tad late in sharing with you the Teaching with Technology monthly mystery post. What, oh what will it be???? QR CODES IN THE CLASSROOM! The possibilities for using QR Codes in the classroom are endless! 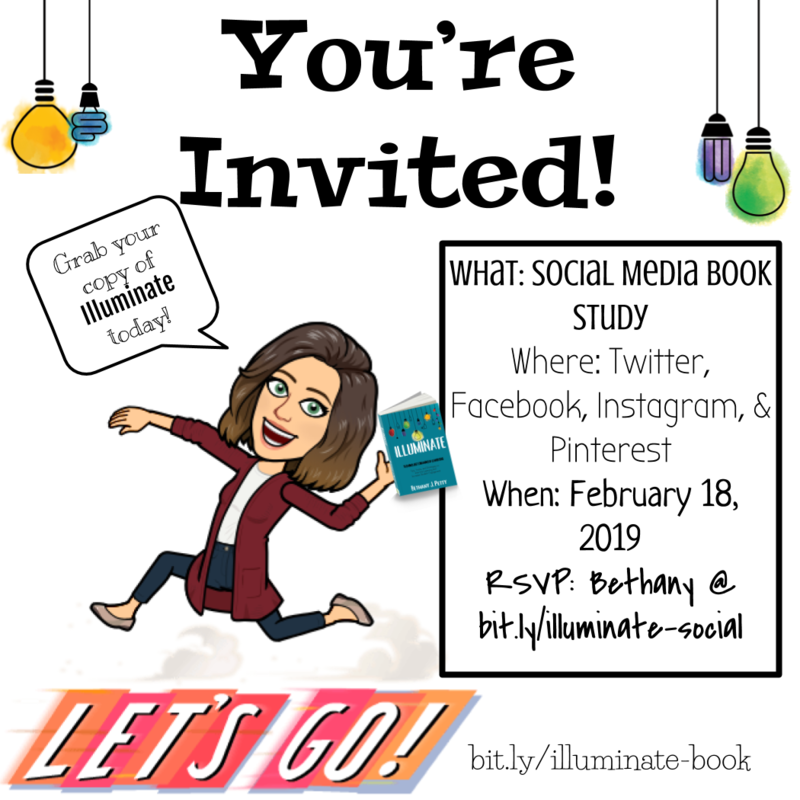 Be sure to check out Chapters 1-2 of Illuminate for even MORE information about QR Codes! Happy Sunday, friends! Missouri is finally beginning to thaw from our experience with the polar vortex earlier this week. We experienced actual temperatures of 0 degrees with -15-degree wind chills – it was INSANE! Today, we’re expecting temperatures of 60 degrees + and will be taking full advantage of the awesome weather by having as much outside time as possible! In addition to enjoying the fantastic weather this weekend, I’m also preparing for a week of technology in the Social Studies classroom trainings with the Institute for Educational Development. 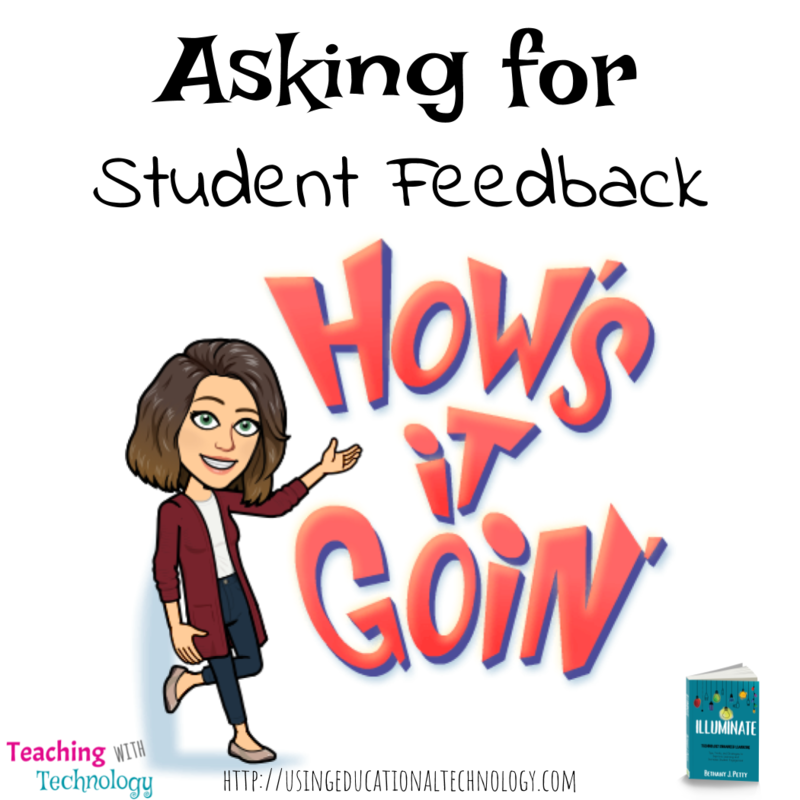 As I typically do when I’m prepping presentations, I ask my students for their feedback on what I should include in the presentations, and what I should tell other Social Studies teachers about using technology in the classroom. Pre-Assessment and Learning Targets –> Before beginning a unit, students complete a pre-assessment that is tied to the learning targets for the unit. Then, they chart their pre-assessment data and their goal for each learning target on a Spreadsheet I share with them through Classroom. At the end of the unit, they go back to their chart and enter their post-assessment data, and are able to actually SEE how much they’ve grown. Explore –> Students familiarize themselves with the content of the unit, specifically focusing on new vocabulary and fun information about the new topic. For example, in our Constitution unit, the students found out which founding father they were most like in this Buzzfeed-like quiz. In our Legislative Branch unit, they were introduced to their elected legislators with a “choose your own” adventure type of Google Form in which they learned about congressional committee assignments, the background of elected officials, sponsored and co-sponsored bills, etc. Explain –> In this step, students actively interact with content through instructional videos. I create my instructional videos using Screencastify and include formative assessment, monitor student progress, and provide feedback using Edpuzzle. Students take notes as they proceed through the videos, either on a Google Doc or using paper/pencil. Collaborate –> Students work with their peers in this step to accomplish a learning target, most often related to a landmark Supreme Court case, content related concept – like Gerrymandering, etc. Review –> I include links to Kahoot!, Quizizz, or Quizlet review games so my students can access this information at any time. Extend –> Students who finish assignments early can choose to complete extension activities to earn bonus XP in our class. More on XP and gamification in Chapter 8 of Illuminate! Formative Assessment –> We formatively assess daily whether it’s through a Kahoot!, Quizizz, or Quizlet Live game, a Google Form, a Padlet, or a thumbs up/fist to five hand signal. It’s so important for me to know where my students are so I can help them get to where they need to be! Spiraling Content –> We have days, at least twice a month, where we “go back in time” to a different unit, spiraling learning. This allows students to frequently review previously learned concepts, and hopefully connect those concepts with content they’re learning currently. Like I said, a lot happens in my classroom! It’s messy … but learning isn’t a neat and orderly happening. Like so many teachers, I’m always hesitant to ask for student feedback. It’s vitally important to my teaching, but I’m scared to do it. Yes, test scores steadily improve from year to year, but test scores are the most important thing in my classroom – I want my students to learn and grow as people and have fun doing so. The reason I’m so hesitant to ask for feedback is because I’M SCARED! You can always count on students to give you an honest answer about your teaching and how they’re feeling in their classroom. I pour my heart and soul into teaching and it’s terrifying to ask someone to give you what you will know will be brutally honest feedback about this work! What was their feedback, you ask? Hearing their feedback — things they want me to tell other Social Studies teachers how to use in their classroom — was so fantastic and reaffirmed for me that they appreciate the learning environment I’ve created. My teacher-heart is swelling with pride. How often do you ask for student feedback? Happy Friday Junior, friends! Not only are we coming off of two snow days, my daughters are also recovering from pneumonia (they’ve been just pitiful! ), which means my students’ learning routine has been quite disrupted over the last week and a half! Today, my students took a quiz over the Legislative Branch (this unit is ginormous, so we split it in half) and completed their post-assessment for the learning targets we covered. Do you ever have one of those moments when you look at student data and say, “oh wowzers! I missed something there!” Well, that happened to me today and I’m owning it! 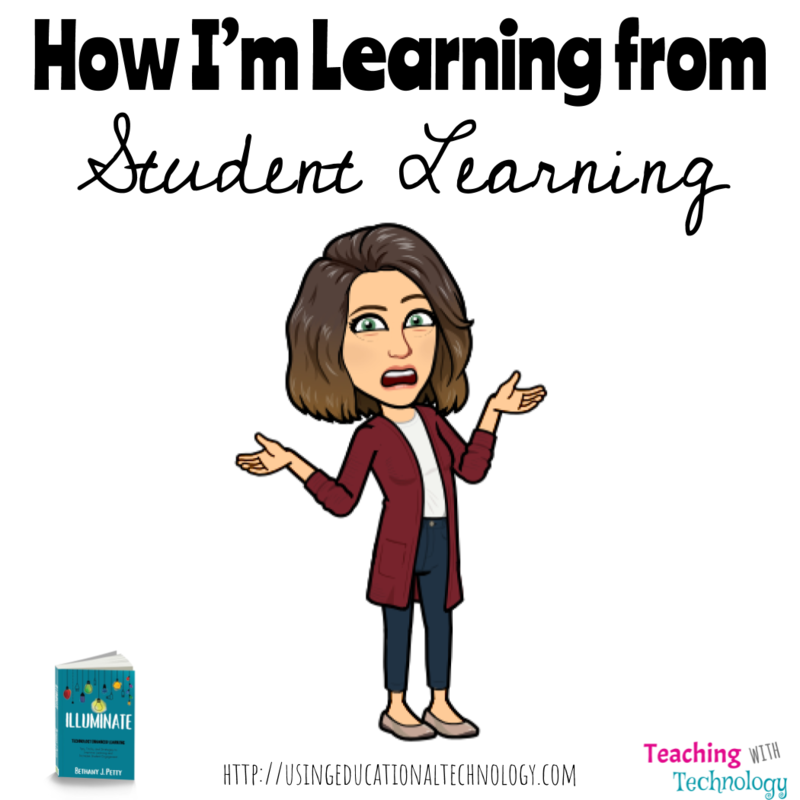 Here’s how I’m learning from student learning! At the beginning of this school year, I decided to commit myself to using pre and post-assessments for every unit, and right after Christmas my students charted their pre and post-assessment data, as well as their learning goals for the unit. It’s been going REALLY well! Today, as I was walking around the room, checking student progress on their learning chart, I noticed that many of them made no progress between pre and post-assessment on learning target 4, which dealt specifically with checks and balances between legislative and executive branches. I saw this on a small percentage of students in my first section of Government, then a few more in the second section, and even more in the last section. I read the learning target and read the question. I thought we had emphasized that concept throughout the unit, but apparently we did not! It’s so important that we not only gather student learning data but also use it as a part of the process of reflecting on our teaching. I can look at the data from the last learning target and say, “oh man, I’m a crummy teacher, poor me,” or, I can say, “whew! I’m glad I have that data so I can design more learning experiences to make sure my students learn that concept!” Fortunately for my students (and me!) I’m taking the latter path and using that assessment data to drive my instruction. Happy Friday, all! I’m home today with two sick kiddos – pneumonia is no joke! 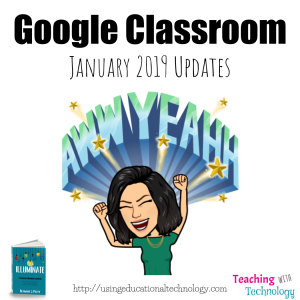 While they’re napping, I’m making some updates to my blog, and I realized that I haven’t shared with you the newest update to Google Classroom!! When Google unveiled topics in Classroom and more of the “folder” design on the Stream, I was totally pumped! UNTIL I realized that the newest items added in Classroom were sent to the bottom of the Stream AND, in order to move the content to the top of the page, I had to click “Move to Top” until the assignment arrived at the desired destination. THIS DROVE ME CRAZY – CRAZY, I tell you! 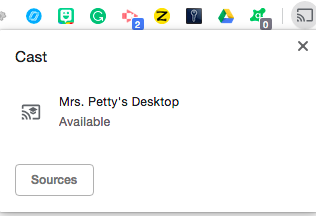 At least once a week I clicked on the feedback button on Classroom and kindly requested the ability to “close” the topics, similar to how you can open a folder to see the contents and then close the folder, or at least be able to drag contents around on the Stream without having to click “Move to Top” until my eyes crossed. Our prayers were answered, folks! Check out this GIF for a visual! To circumvent the issue that was caused by new assignments automatically being posted to the bottom of the Classwork page, my students started using the Stream page as like a notification page and located assignments from that page. Did your students do something like this? I am SUPER excited about this new feature in Classroom and can’t wait to see what they add next! On a side note — did you know I started a podcast?! Be sure to check out Try This Tomorrow on Anchor, Stitcher, Google Podcasts, and SOON Apple Podcasts. You can also find all of the episodes – only one so far! 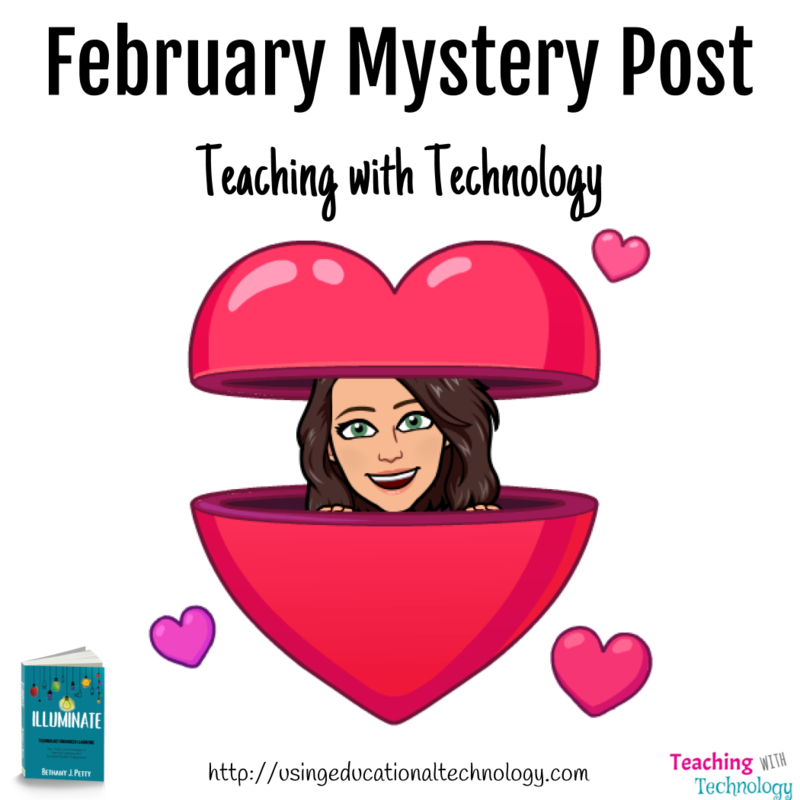 – right here on Teaching with Technology! Happy New Year! Did you make until midnight last night? I didn’t even TRY! After knocking out a 3 mile run and a workout from A Little More Obsessed, I was ready for bed at about 10. Since having kids, my husband and I don’t make it until midnight, but neither do our kids! We played some new games, watched some of their favorite shows, and then they were ready for bed! Last year, I decided to forego the typical “resolution” because I never seem to be able to keep a resolution and feel crummy about myself when I eventually drop the ball … get it? Drop the ball! Like the ball in Times Square?! Don’t worry, I’m grabbing another cup of coffee 😀 Instead of a resolution, I decided to choose a word that would motivate and help me focus on making the most of the year ahead. In 2018, the word I chose was BETTER. What will be #OneWord be for 2019? My #OneWord for 2019 is …. GRIT. If you look up grit, the second definition includes “courage and resolve; strength of character,” and synonyms like determination, perseverance, tenacity, spirit, and oddly enough, RESOLUTION! 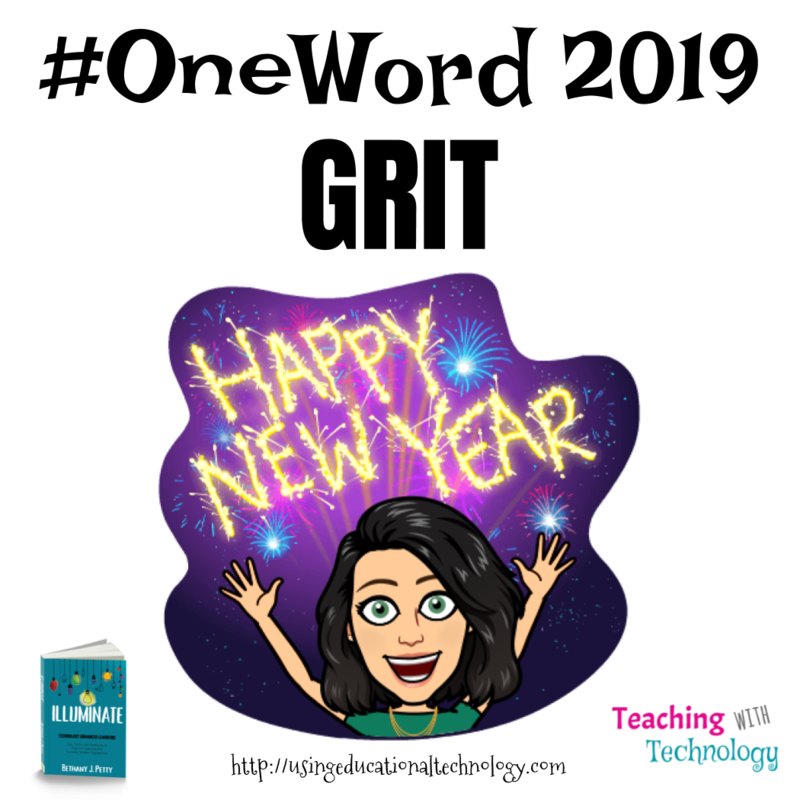 Why did I choose grit as my focus for 2019? I feel like it encompasses what I want for myself in 2019. I want to be tenacious in all aspects of my life — my faith, motherhood, wifehood (is that a word? ), my career, speaking engagements, workshops, seminars, writing, sharing my book with the world, etc. Like all of you, my life is a constant balancing act – and I plan to tackle it with determination, perseverance, tenacity, spirit –> GRIT. What’s your #OneWord for 2019? Thanks for reading, and HAPPY NEW YEAR! Welcome to the last Saturday of 2018! I hope you’re enjoying your holiday breaks like my family is. We’re sleeping late, taking naps, staying in jammies, playing with Christmas presents, eating goodies (waaaaay too many! ), and enjoying our time off together. I’ve officially hit the point in my Christmas break when I really don’t know what day it is, but I do know I need to lay off the sweets and get back into my healthy eating routine! WOWZERS! While my kids are playing with a new toy, it’s a perfect time for me to sit down in my recliner, down my umpteenth cup of coffee, and reflect with you on 2018! In January of this year, I decided to choose a word to focus on and help me stay motivated throughout 2018 – that word was BETTER. I wanted to focus on being a BETTER mommy to my girls and wife to my husband. I wanted to be BETTER in my workout/healthy eating lifestyle which would help me be BETTER in other areas of my life. I wanted to be BETTER in my daily devotional life and be a BETTER teacher. Notice, I didn’t focus on the negative in my #oneword goal for 2018 … while these areas of my life are great, they can always be BETTER! I’m happy to report that my #ONEWORD for 2018 was definitely a good choice for me. I became a BETTER version of me by losing twenty pounds and twenty inches, which has helped me not only feel awesome but also has given me more energy and confidence, contributing to an overall happier Bethany. When I’m in a workout/nutrition program, I feel like I have a better handle on other areas of my life … which is super helpful as I attempt to balance my hectic life on a daily basis 🙂 I’ve become better at carving out time during my day for me and God – whether that’s in the morning when I’m getting dressed, during my planning period or lunch, or while I’m waiting for my daughters at one of their MANY after school activities. One of the ways I’ve focused on being a BETTER teacher is by continuing to seek out new strategies to positively impact student learning. Check back for a series on using technology with Hattie’s research on learning! I still can’t believe that my book, Illuminate, was published in 2018. I feel so fortunate to have been able to work with the awesome people at EdTechTeam to share the message of “it’s not about the tech; it’s how you use it!” with the world through my book. Technology use in the classroom can be so amazing when used intentionally to enhance student learning. I feel like teachers are so swamped with requirements and standards and objectives and extra duties and EVERYTHING else that comes with being a teacher, that technology integration can be just one more “thing” that they have to “do” in their classroom. That doesn’t have to be true! 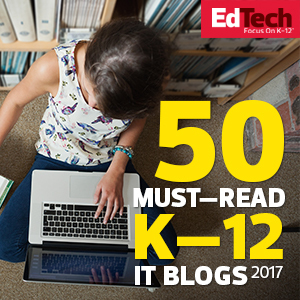 Intentional and meaningful technology integration can have a powerful impact on student learning! As promised, here are the 5 most popular posts from 2018! 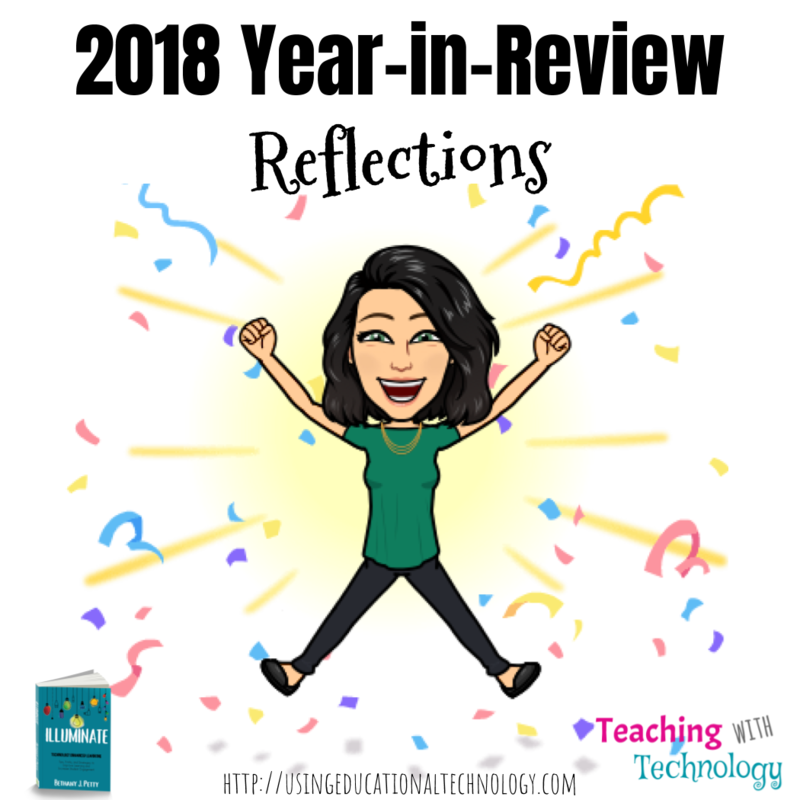 I absolutely love blogging and am so blessed to be able to use my blog to reflect upon teaching practices and share ideas, strategies, and tools with the world. 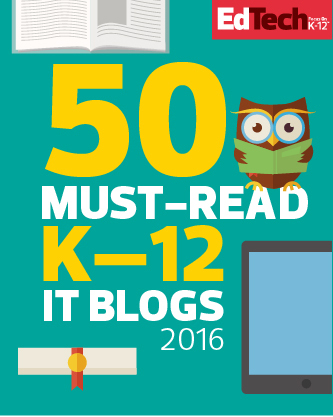 Thank you so very much for reading Teaching with Technology! I’ll be celebrating my FIVE YEAR blogging anniversary in mid-January – I CANNOT BELIEVE IT!